I believe that coffee table books are all about striking the right balance. On the photography side, you want to find harmony from different angles and this means careful consideration of lens choices, patterns and textures, isolating a subject or going for a mass of complexity and chaos. This was the first time I had used a fish-eye lens in my aerial work, which results in this crazy distorted… look. When used well, the effect is amazing. Then there’s the crafting of a varied shooting list. In this case, we wanted to showcase all that Dubai has to offer… capturing her ultra modern urban landscapes, iconic buildings, old heritage sites, stunning desert landscapes, hidden desert retreats and unexpected treasures. Put simply, we wanted to create a book that would capture the beauty of Dubai. I’ve been living and working in the UAE for over twelve years now and feel enormously privileged to have seen Dubai evolve and grow into the incredible metropolis it is today. When I arrived, the Dubai Marina didn’t even exist, or the Burj Khalifa and work was just commencing on the Palm Jumeirah. The ever-complex road networks we have today, were then just simple junctions and many of the golf courses and residential communities within these pages were little more than open and barren desert landscapes. Remarkable! My deepest admiration goes towards the UAE’s strong leadership and the ability to interpret and deliver a vision of such epic proportion, a vision that has transformed this once small fishing village into a green and vibrant hub, attracting people from all four corners, to live, work and play. The beautiful and still images in this book hide a hive of shooting activity, and often frenzy, on the other side of the lens. I’ve been shooting aerials for many years and must admit that it’s every guys dream to be hanging out of a chopper, door open, strapped in and taking on the extreme forces of wind, vibration and weather. It feels like shooting from inside a tumble dryer. The moment we left the helipad, the action commenced. The airforce is immense, everything vibrating and shaking. Sticking your photography gear too far out of the helicopter means that it gets thrown all over the place by the wind. The bigger the lens, the tougher it gets. Super telephoto lenses are handheld, used without a monopod, and as subjects frenetically dance through the viewfinder, you just have to hope that you press the shutter at the right time. As you can imagine, changing lenses should be avoided at all times. For this reason, I worked with four Canon EOS 1D camera bodies, each with a different lens. For the gear aficionado’s out there, you might want to stayed tuned to my blog with future posts on aerial photo tech talk. In the air, everything moves quickly. We’re always in motion and I’m constantly on the look out for subjects that are visually attractive, choosing different lenses to craft a mix of imagery. At the same time, our pilot Andy and I are in constant dialog through the headsets discussing flight plans, approach, orbits and next locations. 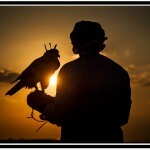 We worked on a budget of ten hours of flight time so good planning was paramount. All individual flights were carefully mapped and planned down to the last minute. The journey of getting airborne proved to be an obstacle in itself. Big productions like this seem to come with equally big hurdles and this was no exception as we tackled waiting out the dusty summer, pending paperwork, lengthy red tape in securing permissions, cancelled flights due to ministry officer availability, the time pressure of Christmas sales, closed off airspace, weather delays… you name it! On our forth attempt and eight months later, we finally got there, allowing me to get up in the air and do what I do best… create magic! 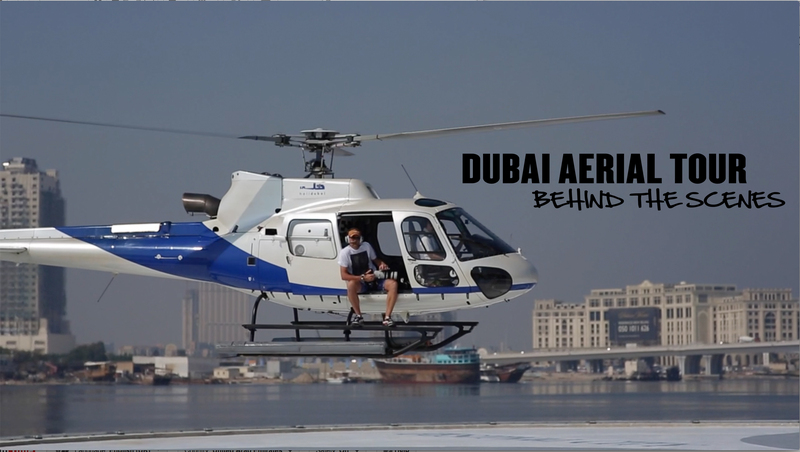 A huge thanks goes out to Captain Andy Nettleton at Heli Dubai for manoeuvring us around the city. His expertise and precision, as both a senior pilot and a fellow photographer, really added to the amazing selection of images in this book. I’m delighted with the final outcome… it’s always a great joy to hold the final product in your hands… and would like to extend my sincere thanks to Motivate Publishing for the opportunity and partnership. It’s now over to you, the reader, to appreciate this visual tour of Dubai and help us spread the word by sharing the news about this book online.